There are a number of excellent bonus and free spins offers currently underway at Sloto Cash Casino. A number of these promotions continue throughout April, giving us plenty of time to get to all of them. Dragons are important in the Chinese culture. They bring good luck as does the Dragon Fire promotional offer. There are two bonuses with free spins, and if that is not enough, there is an extra free spins pack. Collect the three special offers in order before 30th April 2019. The promotional offers take place on the Dragon Orb slot, the Fire Dragon slot, and the Ancient Gods slot. Dragon Orb Promotion: Get a 100% match deposit bonus with 50 free spins. Redeem both these offers with the DRAGONFIRE-1 coupon code. Play the free spins on the Dragon Orb slot game. Fire Dragon Promotion: Enjoy a 150% match deposit bonus offer, and get 100 free spins on the Fire Dragon slot game. Redeem the bonus and free spins offers with the DRAGONFIRE-2 coupon code. Ancient Gods Promotion: This is the final portion of the three-part Dragon Fire promotion. Now that you have enjoyed two match deposit bonuses and 150 free spins, there is more to come! Get 200 free spins without a deposit on the Ancient Gods slot game. Redeem this massive free spins offer with the FREE200DRAGONS coupon code. The first two match deposit bonus offers require a minimum deposit of $25 each. There is a 30x wagering requirement attached to these offers. Fulfill the play through requirement on slots or keno games. The Ancient Gods free spins winnings come with a $500 maximum cash out amount. There are three great new games that come with three special offers. Play Fire Dragon, Trigger Happy, or Cubee in this great bonus promotion until 30th April 2019. Get a $175 match bonus with the SLOTSREVIVAL-1 coupon code when you deposit at least $30 at Slot Cash Casino. Next up is a 225% match deposit bonus. Redeem the second bonus offer with the SLOTSREVIVAL-2 coupon code. 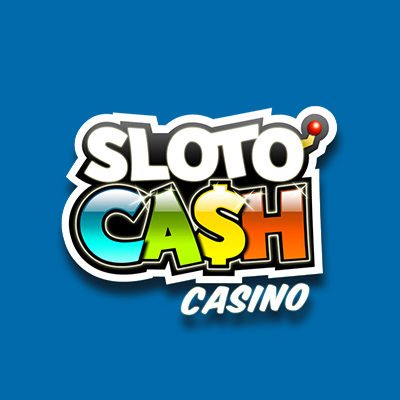 Once you complete the first two offers, you get a free gift from Sloto Cash! Simply redeem your $150 Revival Gift using the 150FREEREVIVAL coupon code. There is a minimum $30 deposit for the first two offers. Once complete, fulfill the a 30x wagering requirement. There is no maximum cash out amount. Free chip winnings come with a maximum withdrawal amount of $500.